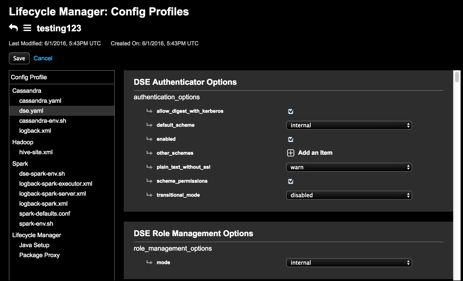 The Config Profiles main page appears. Click the edit icon (pencil) for the configuration profile you want to edit. 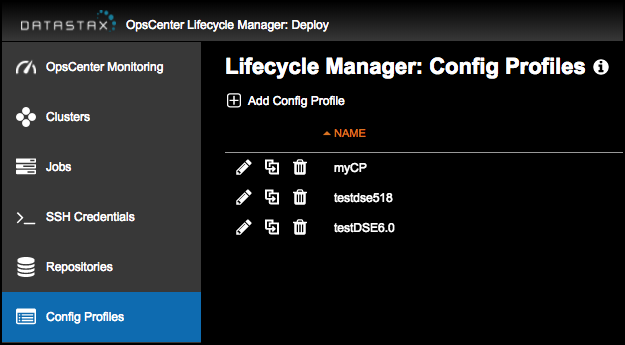 In the Config Profile pane, select the configuration file to modify. The available configuration options appear for the selected configuration file. All password fields require double entry for confirmation. Note: If you navigate away from the Config Profiles workspace after making changes, you are prompted to confirm leaving the page. 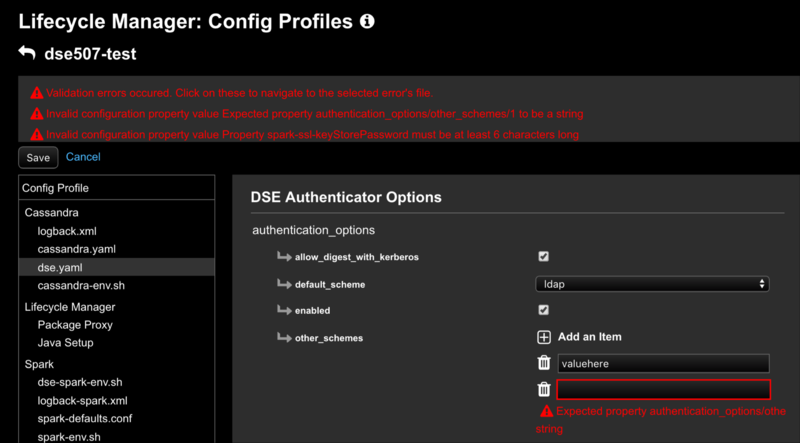 Click OK to discard your changes and leave the Config Profiles workspace, or click Cancel to retain any changes and remain in the Config Profiles page. If there are any validation errors, error messages appear that indicate any issue with a setting. For each error, click the error message to highlight the issue. Correct each error and then save the configuration profile.